Finally, the long awaited day has arrived, the tradition of passing on the light at KAIST. 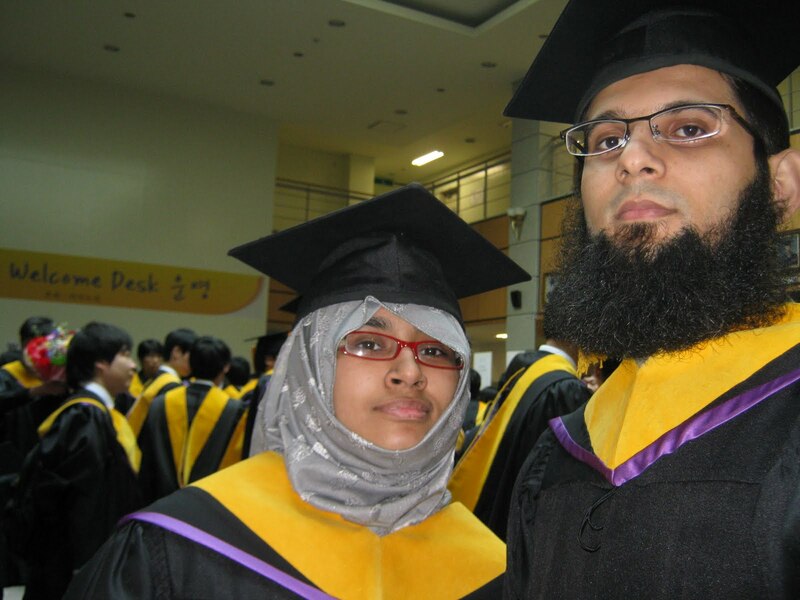 The difference this time, me and my wife get two degrees of MS by Research as only Pakistanis in Computer Science in world's 21st (this year it's 24th) ranked university under Technology (simply, Asian MIT). With a lot of hopes and a mix of emotions, the yellow banded graduates head to the ceremony. This is a product of hard work of everyone associated with us (in terms of academics, advices, emotions, etc.,) and importantly a responsibility to pay back to the seed land, Pakistan. Never felt but the truth is, every single degree counts for Pakistan (part of Muslim world). Hopes went on to height as we went on to recieve something which looked impossible if life goes into flash back of more than two and a half years with no money and no sense of how to pursue higher education in ever challenging field of Computer Science. I can't mention everyone who stood at our backs in the tough times, but one person I can never forget to mention is my mother as she is the lady who turned me into what I am and led me after passing of my father when I had just passed 7 grades of basic schooling. My mother made me look to the world through her eyes and turned me into what made me a yellow banded KAISTIAN, she completed her PhD after the passing of my father and taught me by her living example before me to target higher than the known limits of the world, a lady who not only took great care of her children but also attained biggest pride in education (i.e., PhD) after passing of her life partner and my father. 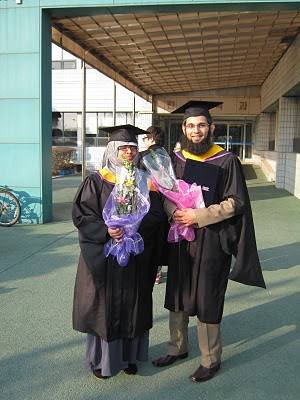 This by example, shaped me well and I am taking not one degree but two, one of mine and other of my wife. very nice :) Congratulations! Very glad to know!